You know what is disturbing about regular drones? Having to keep your drone in a box because they are always noisy and getting you in trouble with your neighbours because of the buzzing sound they always make whenever you fly them around the neighbourhood. They are not fun at all because of the poor-quality images. If they take better pictures, then they are probably too heavy and cumbersome to carry around because of the added features. The extra weight comes at a cost: loss of a great sense of portability that drones are known for. However, there is a new drone in the market that is bound to revolutionise your drone experience with sleek features, compact, light, and portable design and a quieter flight. The new hobbyist Mavic Pro foldable quadcopter allows for greater mobility and functional flexibility that make it suitable for various industries. Why Settle for Mavic Pro Platinum? If you are a drone enthusiast, hobbyist or a professional looking for a quadcopter to match your video and photo taking needs, then Mavic Pro Platinum should be your drone of choice. Mavic Pro is lightweight as it weighs just over 700 grams and can easily fold and fit into your small backpack due to foldable arms. Despite its impressive portability, Mavic Pro Platinum comes with a long-range remote-control capability of up to 4.3 miles, which is suitable for taking videos and photos in inaccessible areas. An upgrade of earlier versions, this quadcopter allows you to beam high-quality 12 MP stills and 4K videos on your smartphone or tablet. The multiple cameras mounted on a rotatable 3-axis gimbal can also be controlled using a remote control. The drone has a maximum speed of 40mph and has a battery life of 30 minutes. If you are tired of aiding your drone in taking off or always crash-landing it, then consider visiting your favourite store ordering Mavic Pro online. The drone comes fitted with a GPS locator functionality that allows for automatic landing. This is also supplemented by a GLONASS system that offers you more variety for controlling the drone. The drone also comes fitted with one of the best obstacle avoidance technology in the industry. Its multiple cameras and sensors allow for front object sensing that enables you to avoid those obstacles especially when you are outdoors or in the field. It also has a vision position system that allows the drone to automatically avoid those obstacles without having to manually maneuverer around them. You can also set into a POV mode that allows the sensors to rotate relative to the positioning of the drone. Unlike other drones within or below its price range, Mavic Pro comes with platinum-level sound levels. It is quieter than its cousins. It comes with a 4-decibel blade rotation noise level. This means you can fly it around the neighbourhood without getting into the crosshairs with your neighbour or even authorities. Drones can perform various functionalities and tricks, which make them favourite toys. Mavic Pro Platinum comes with mesmerising autopilot tricks that make suitable for those drone competitions. And with a top speed of 40mph, a flight range of 4.3 miles and battery life of 30 minutes, it is ideal for drone races. While Mavic Pro Platinum drone automatically senses front objects and stops, it lacks omnidirectional object detecting capability and will crash when in backward flight mode and it encounters an object. Moreover, the 12MP cameras only work best in excellent quality light environments. With Mavic Pro, you won’t need bulky backpacks to carry your drone to the field. It is light, tiny and can fit in a small bag. However, the small size does not take away its functionality. The quadcopter is equipped with 12MP cameras mounted on a 3-axis gimbal that gives you a 360-degree rotation to make high quality still images and videos. If you are a fun of outdoor video and photo activities or a professional that works with cameras, you won’t have to worry about tree branches damaging the cameras of your Mavic Pro drone. The drone has an automatic front collision sensor and a plastic case to carry it around. 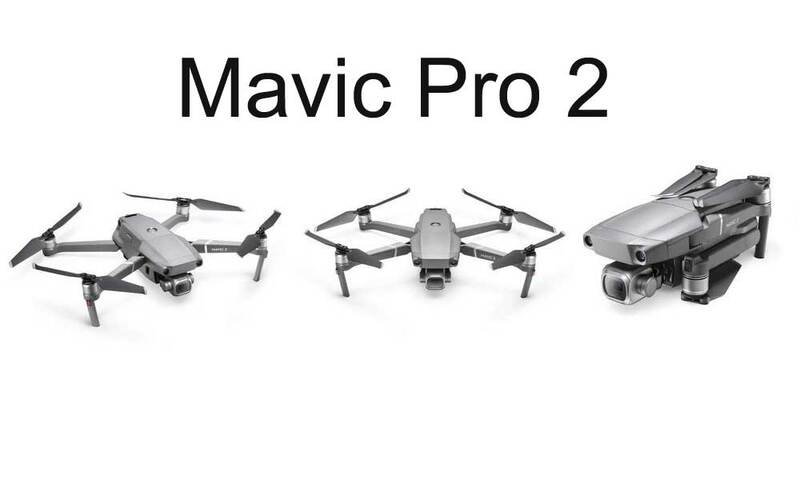 Together with its light weight and compactness, these qualities make Mavic Pro suitable for hiking. It comes with the added advantage of quieter blades which means you won’t have to worry about annoying your neighbour with your favourite toy. And for a combo price of £1100, it is a bargain buy.